Here's our latest play discovery from a pan of veg! 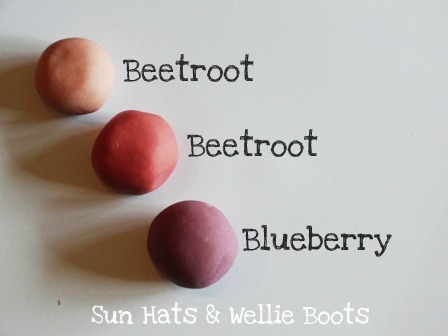 I'd been making a chocolate & beetroot cake & boiled up beetroot as part of the recipe. After adding it to the cake mixture I was left with a pan of vibrant red liquid. 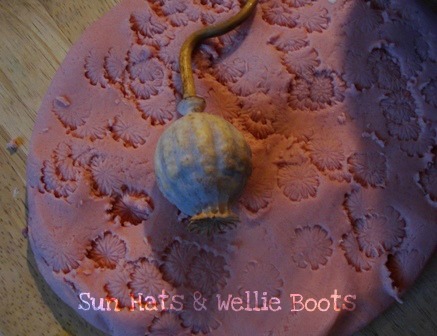 It seemed such a waste to pour it away, so I used it as a natural dye for homemade playdough! Mix all the dry ingredients together & add the oil. Slowly add & the beetroot water & mix until a smooth dough is formed. The boiled beetroot water created this beautiful delicate pink colour. 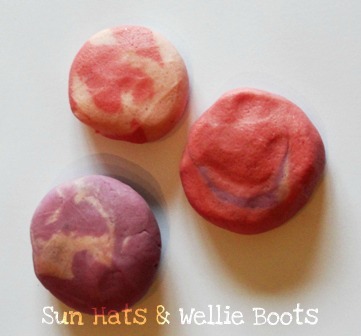 Since our initial discovery we've made more beetroot playdough, this time leaving the boiled beetroot in the water overnight. 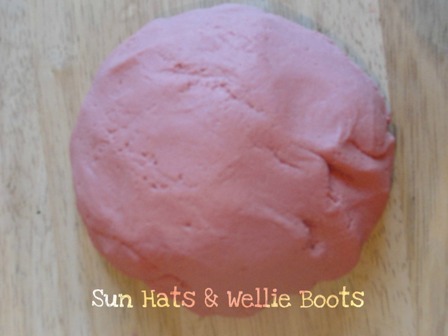 The infused water produced a deeper, richer pink playdough! 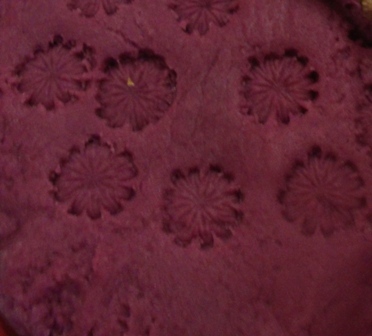 After making the beetroot playdough, I had a peek in the refrigerator & discovered a handful of overripe blueberries. 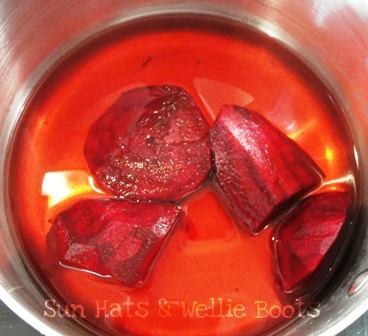 We boiled them in the same way as the beetroot & added the flour, salt, cream of tartar & oil as before. 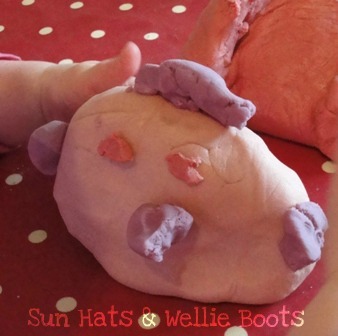 The finished result was this beautiful purple playdough. 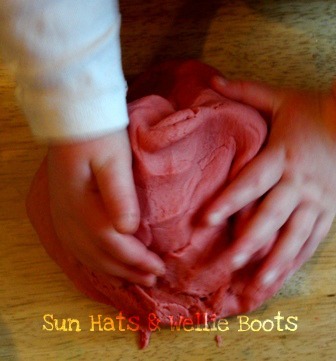 Minnie has been exploring the dough with her natural playdough tools, her favourite being these dried poppy pods which create amazing patterns when pushed into the dough. 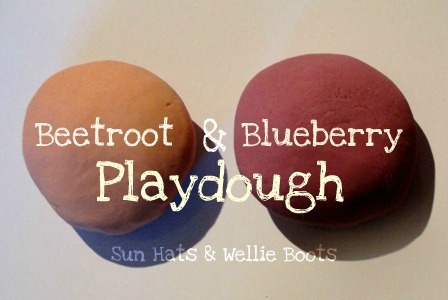 These natural dyes combined with the homemade playdough provided some great sensory play. Minnie was able to explore colours & shades, motor skills, hand-eye co-coordination, creativity, & imagination. Check out her little owl below. For more natural dyes check out our sunflower dye we created last summer.